Dr. Gulitz worked in Las Vegas for three years alongside primary care physicians, pain management physicians, physical therapists, orthopedists, and neurologists. During this period he was able to assist nearly one thousand patients in their post-traumatic recoveries. It was during these formative years that Dr. Gulitz realized the benefits of being a part of a patient-centered integrated health care team. In 2010 Dr. Gulitz received an Advanced Certification of Competency from Dr. Arthur Croft’s Spine Research Institute of San Diego, a post-graduate seminar series focused on the research and science behind Whiplash and Mild Traumatic Brain Injuries. He uses what he learned in these classes to diagnose and treat his injured clients every day in clinical practice. Dr. Gulitz founded Mid-Atlantic Spinal Rehab & Chiropractic in Baltimore, Maryland in 2012 in an attempt to replicate and build upon the positive patient outcomes that he had achieved in Las Vegas. Since its inception, Mid-Atlantic Spinal Rehab has flourished into one of the fastest growing physical medicine practices in the state of Maryland. In an effort to give back to the chiropractic community in Maryland, Dr. Gulitz volunteers his time as a Maryland Chiropractic Association (MCA) board member. The Maryland Chiropractic Association (MCA) is a professional organization dedicated to elevating the chiropractic profession by educating the public and advancing chiropractic care for the citizens of Maryland. When he is not at work, Dr. Gulitz enjoys watching sports (baseball and football), exercising, enjoying the nightlife of Baltimore City, and spending time with his wonderful wife Kristin and their three cats. 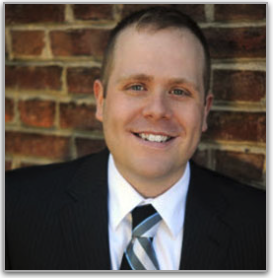 Dr. Gulitz has a niece, Courtney, and a nephew, Aaron, that he enjoys spending time with whenever possible.